How to Rip Blu-Ray to M4V on Mac? Having a lot of Blu-ray collections and wanting to play them on Apple’s applications and devices like QuickTime player, iTunes, iPad, iPhone, iPod, etc. How about ripping and converting Blu-ray to M4V? Many users may ask why they shall choose M4V as the output format, and how to rip Blu-ray to M4V on Mac? Well, answers to these two questions can be found on the post. Part 2: How to Rip Blu-Ray to M4V on Mac with Mac Blu-Ray to M4V Converter? Similar to MP4 format, M4V file format is a video container format developed by Apple, but M4V could optionally be protected by DRM copy protection. Apple uses M4V to encode video files, such as TV episodes, movies, and music videos, in its iTunes Store. To play a protected M4V file, the computer needs to be authorized (using iTunes) with the account that is used to purchase the video. However, unprotected M4V files may be recognized and played by other video players like Apple QuickTime Player by changing the file extension from “.m4v” to “.mp4″. In addition to Apple iTunes and QuickTime Player, M4V files can also be opened and played with RealPlayer, VLC Media Player, Leawo Blu-ray Player, etc. Here we choose two famous player to play M4V files. 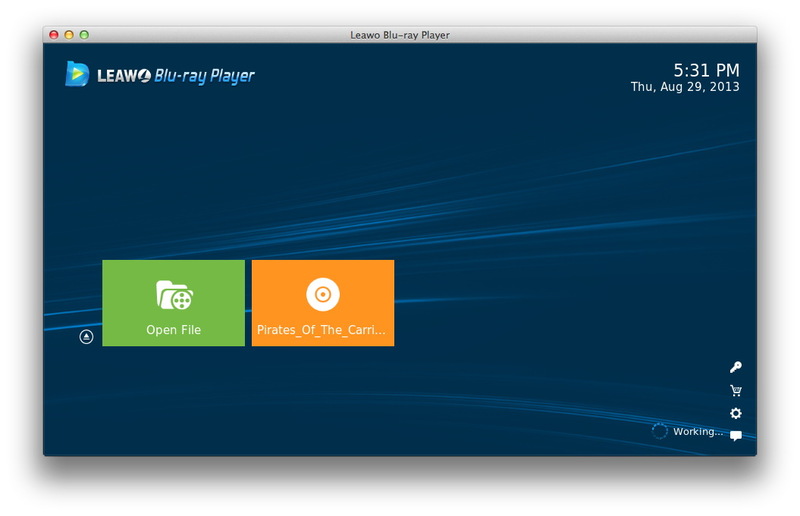 Download, install, and launch Leawo Blu-ray Player for Mac. Click “Open File” to browse and load target M4V files on your Mac and start to play M4V files on Mac. 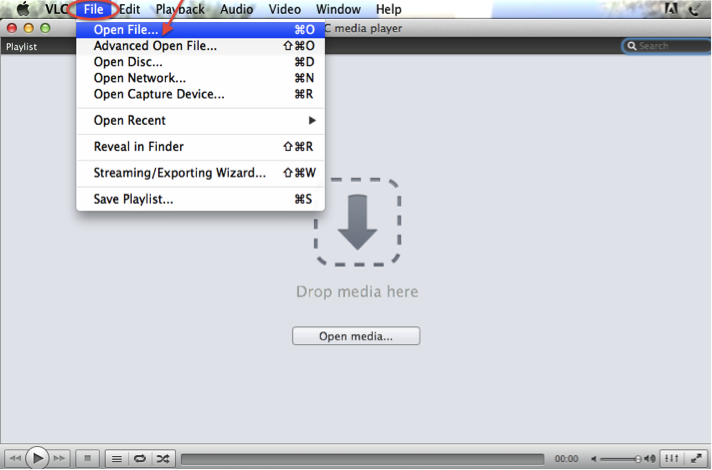 Download, install, and launch VLC Media Player for Mac OS X. Hit “File” on the main memu to pop up a dorp down list, and click “Open File” to load M4V files. As you want to play and watch Blu-ray movies on QuickTime player, iTunes, iPad, and other Apple’s products, the best solution is to rip and convert Blu-ray to M4V videos on Mac. To rip Blu-ray to M4V on Mac, a professional Mac Blu-ray to M4V converter is necessary. Leawo Blu-ray Ripper for Mac is the best Mac Blu-ray to M4V converter for you to rip Blu-ray to M4V on Mac. It’s a professional Mac based Blu-ray to video converting program that could rip and convert Blu-ray disc/folders to MOV, MP4, M4V and other formats on Mac, so as to let you easily play and enjoy Blu-ray movies on Apple’s products like QuickTime player, iTunes, iPad, etc. Before the ripping and converting process from Blu-ray to M4V takes place, you should download and install Leawo Blu-ray Ripper for Mac on your Mac. After the installation completes, run it to enter the main interface and follow the step-by-step guide below to rip Blu-ray to M4V on Mac. On the main program interface, click the “Add Blu-ray/DVD” button to browse source Blu-ray movies for loading. After loading, you can select Subtitles and Audio tracks for each title, double click each title to preview source files, snap screenshots on the right built-in preview player, etc. Click the drop-down box (named “MP4 Video” by default), and choose “Change” to choose “MP4 Video”. Then click the edit button to enter “Profile Setting” panel, where you should choose “H.264″ in “Video Codec” drop-down box. Video and audio parameters of output files like audio codec, bit rate, aspect ratio, frame rate, channel, etc. could be adjusted at the same time. Note: M4V is similar to MP4, but these two formats differ in Video Codec. As the default Video Codec for MP4 format preset in Leawo DVD Ripper is “MPEG4″, to change MP4 to M4V, the Video Codec should be changed into “H.264″. On the main program interface, click the big “Convert” button to set output directory and start ripping and converting Blu-ray movies to M4V videos on Mac. When the conversion finishes, you only need to open your QuickTime player to play the converted Blu-ray movies, or open your iTunes for playing or syncing. 1. Is Internet connection necessary when ripping and Converting Blu-ray to M4V? Yes, when you rip and convert encrypted Blu-ray discs, it requires Internet to decrypt and convert Blu-ray discs. 2. What Leawo program can Windows users use to convert Blu-ray to M4V? If you’re using Windows Operating System, you could turn to Leawo Blu-ray Ripper, the Windows counterpart of Leawo Blu-ray Ripper for Mac. 3. Does Leawo Blu-ray Ripper for Mac provide free trial version? Yes, it does, but the free trial version of Leawo Blu-ray Ripper for Mac can only convert the first 5-minute Blu-ray content, and cannot decrypt commercial Blu-ray discs either. 4. How much is Leawo Blu-ray Ripper for Mac? For one-year validity, Leawo Blu-ray Ripper for Mac charges $44.95 while it charges $99.95 for a lifetime version.